The 3rd Plastivision Arabia 2016 will provide regional manufactures instant access to new machinery, technologies and materials. 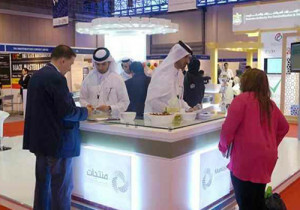 Sharjah — The rising demand for plastics in the GCC and increasing product diversification are encouraging the regional manufacturing industry to ramp up their production capacity. According to Gulf Petrochemicals and Chemicals Association (GPCA), plastics production capacity in the GCC grew six per cent to 25.5 million tonnes in 2014 and is projected to increase 25 per cent to 33.8 million tonnes by 2020. The manufacturers are also gearing up to see a significant rise in their product portfolio, which is set to go up from the current 13 to nearly 30 in the coming years to cater to growing demand from sectors like aviation, transport and food packaging. Given the strong market fundamentals, regional manufacturers are keenly waiting for a premier industry event to better equip themselves in a highly competitive market. The 3rd Plastivision Arabia 2016 will provide regional manufactures instant access to new machinery, technologies and materials, and insights into improving production and personnel efficiencies and reducing costs. “The regional plastics industry is in the midst of sustained growth focusing mainly on quality, efficiency and environmental concerns. The industry will have to rely on technical innovations to produce a more diverse product range and achieve sustainable growth,” said Rituraj Gupta, president, the All India Plastic Manufacturers Association. Expo Centre Sharjah, in association with All India Plastics Manufacturers Association, is organising and hosting the 3rd Plastivision Arabia international plastics exhibition and conference from February 22 to 25 in 2016. “Plastivision Arabia has firmly established itself as the best regional sourcing point with its past two editions. The next edition of the show is sure to open up more channels for machinery makers and suppliers to tap this high-growth market,” said Saif Al Midfa, CEO, Expo Centre Sharjah. Domestic demand for plastics is growing fast in the GCC. The per capita consumption of plastics is estimated at 39 kg in the region, 33 per cent higher than the world average. Experts point out that at the core of the industry’s growth is a growing population, rising construction projects and bigger penetration of pre-packed foods, prompting region’s plastics producers to look at acquiring new machinery and technology to keep pace with demand. A rising number of manufacturing units is also generating demand for materials and machinery. In 1990, the number of plastics factories in the GCC stood at 326, in 2007 it was 1,223 and by 2012-13, it rose to 7,000. The figure is on the rise with new plastic processing units mushrooming in the region owing to easy availability of feedstock. Saudi Arabia and the UAE are also major exporters of plastics, taking advantage of their location that is in close proximity to areas that are experiencing economic growth and population increase.